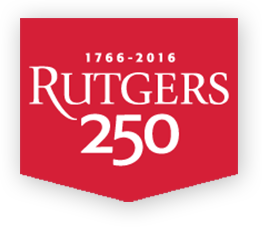 Dr. Caplan joined the Rutgers faculty in 2008 after receiving his PhD in Social Welfare from the University of Pennsylvania. He also serves as Deputy Director of the Rutgers Center on Public Security, where he collaborates with faculty and practitioners from various disciplines to use geospatial technologies in innovative and meaningful ways. Dr. Caplan’s research focuses on geographic information systems (GIS), risk assessment, crime prevention, policing, and police-community relations. He has past professional experience as a police officer, 911 dispatcher, and emergency medical technician, which give him a unique research perspective. Through the practice of computational criminology, Dr. Caplan draws from several disciplines to build new methods and techniques for the analysis of crime and crime patterns. Most recently Dr. Caplan invented Risk Terrain Modeling (RTM), which is used throughout the USA and around the world. RTM has led to the development of new methods and the RTMDx Utility (www.rutgerscps.org/software), which are now used by people in more than 45 countries. Dr. Caplan’s theory-driven scholarship delivers widely accessible products that are evidence-based, actionable and have practical value to many public safety and security stakeholders. Caplan, J. M. & Kennedy, L. W. (2016). Risk Terrain Modeling: Crime Prediction and Risk Reduction. Berkeley, CA: University of California Press.